Although there are several servers available on different operating system platforms like windows, unix , etc. I feel that Linux Servers are more secure when compared to other competitors.There are several reasons why Linux servers are more secure than those running solely off of Windows. The importance behind this extra security is to help prevent hackers from entering the server and changing files and putting viruses and robot programs to work over the servers. If they were able to get in through brute force or simple hacking, the results could be devastating and potentially harmful to your websites as well as any of the visitors that make their way to your websites. 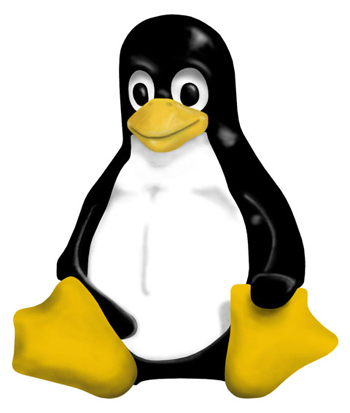 Linux based servers are not much different in terms of capabilities with what the server can provide in terms of processing the websites and other information stored on the server. The big difference between Linux servers and other options is the fact that there are many more layers of security that are possible with Linux based server software. There are other security layers possible with third party software mechanisms available as well. You can limit Root access as well as disable Root SSH Logins that make it possible for hackers to gain access to your valuable files and other resources on the server. You can even make it so only a few users have access to administrative tools by setting special user attributes while others are still restricted in the event that a hacker got a hold of another user account which could attempt to use the switch command to the Root of the server. Most of the software that is developed for Linux servers is designed to have the highest levels of security to prevent hackers and virus attacks. The vulnerability of the software is entirely up to how long a hacker is willing to attempt to hack each individual software component of the servers that you are using. This limits the access to the important sections of your Linux servers and provides even more security. The constant necessity of security with Linux servers prompts for more frequent software updates. These updates remove vulnerabilities as well as increases security all around. When used in conjunction on servers, the security of the server is increased exponentially. It simply becomes more secure every month providing that the owner of the server performs the updates to the software options when they become available for use. Like windows linux doesn’t support .exe files. Most of the viruses in windows are being spread with .exe files what happens you just double click on .exe file and virus,trojan or malware easily integrate itself with windows. And similarly Registry is another place where viruses put their information. Even if you delete the file, It rewrites its information from registry and it is also too difficult to find where virus hides its information in registry.Linux uses configuration files rather than registry so another big hole for viruses is closed and as i mentioned in point 1 that linux doesn’t allow any normal user to edit system files. You can restrict access to the FTP for the Linux server to allow for different levels of access to all of the allowed accounts. This access can also be limited to only viewing and downloading content from the server. You can also make quick backups of all important data with a Linux server which can be restored in the event that the server is changed during an attack. Backing up couldn’t be easier on Linux, cron jobs make backups pretty painless and the options are really unlimited for choosing the best way to back up your server. Being able to choose between different distros on Linux creates limitless possibilities. Debian, Ubuntu, Red Hat, and all of the others provide different features for server admins to choose from. The ability to run the distribution that best serves your application, company, or web site really allows Linux to be the best all around option for a server admin. Windows is limited to Windows Server, which provides great functionality, but the depth that Linux can provide cannot be easily matched. Let alone the performance. Having these options available as a server admin may be confusing as a new comer, but as you start learning about the features and unique qualities of each distribution, you will be able to find a favorite that suites you and really get the most out of your server by utilizing every aspect of the hardware and software working efficiently together. The most fun part is sometimes just downloading 10-20 different .iso’s of the new linux distributions and installing them on different partitions or running them on LiveCD or USB stick and playing with the new features and environments each of them are working on. Go out there and learn about the advantages and disadvantages of each Linux distro and find the one that best suites you and learn it inside and out. Doing so will give you the best experience and most secure server you could ask for.